We sometimes get queries from trainee solicitors asking if it is possible to change law firms during a training contract, and whether they ought to do it. Our advice is always the same; jump through the burning hoop of the training contract with as minimal fuss as possible and only change law firm if your employment with a particular law firm is affecting your health, whether mentally or physically. A training contract needs to be seen in the same light as the Legal Practice Course – it is a burning hoop for jumping through that launches you onwards and upwards in your legal career. There is no reason at all to prolong this period of time and it is often best just to get through it as quickly as possible with as minimum fuss as possible. 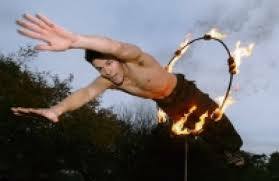 The Training Contract – it really is just a burning hoop to jump through. Years ago, the firm who held your training contract with the Law Society had to give their consent to release you to another firm if you decided to try and jump ship half way through your contract. Clearly unfair, this has of course changed in the modern day climate and you have the freedom to change firms as far as we are aware without any issues with the SRA. The problem mainly is that changing half way through a training contract implies there has been a problem with your current firm. If there has been a problem with your current firm, it is your fault or the firm’s. How are future employers going to see this? Very often, solicitors’ firms will question a candidate who has jumped about during their training contract, even 5 or 10 years later because they are curious to know what happened during the training contract to make you want to leave. I have a confession to make, which is that during my training contract I did try and leave the firm I was with for various reasons, notwithstanding I wasn’t particularly happy at the firm and was looking to get out into something more commercially orientated than the high street practice I was training with. I was not successful and furthermore suffered the embarrassment of one of the firms I interviewed with actually telephoning my office and passing the message via the secretary to say they were going to have to cancel the interview due to illness of the senior partner. Looking back it really wasn’t worth trying. Furthermore, you owe a certain amount of loyalty to the firm who took you on for the training contract and gave you that break. I think this is the point of other firms in later times in your career looking through and wondering why you jumped ship, and considering whether you would do the same to them in the future. I owed the firm who gave me my break into the legal career a debt of gratitude and technically I ought to have not been looking to change firms during the training contract because of this. Of course I will remain eternally grateful to them for allowing me the break to start in law and in the circumstances that a training contract was offered, but this debt of gratitude and loyalty only lasted until the end of the contract when I immediately jumped ship to another practice. However, I think law firms accept this as inevitable for most people but I am not so sure people are so accepting if you decide to change firms during a training contract. Bear this in mind in future years when you are an employer looking back at CVs and thinking about why a candidate jumped ship from one firm to the other during their training contract. Is there something wrong with the candidate? I bet this is the first thing that crosses your mind. Jonathan Fagan is Managing Director of Ten Percent Legal Recruitment and updates regularly on the Legal Profession and Careers in Law, whether starting or proceeding through a legal career. You can contact Jonathan via the Ten Percent website which is www.ten-percent.co.uk. He is a solicitor (non-practising), career coach and qualified legal recruitment consultant with over 15 years recruiting experience.